I don’t usually set myself a new year’s resolution, per se. What I usually do is set myself a series of projects throughout the year, with the main project for said year launching in January. Last year, it was the launch of this website and blog, and this year? I’ve decided on a fresh focus for my business. 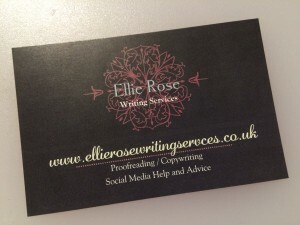 So, this website is going to remain about my poetry, reading, writing, and general life; whereas my client work has now got it’s own separate homepage, under the new name of Ellie Rose Writing Services.